The battle of Bannockburn, fought over two days in June 1314, saw King Robert I of Scotland (Robert Bruce) obliterate a substantially larger army led by King Edward II of England. This public, personal and political humiliation for “Proud Edward”, sent homeward to think again, is remembered with each rendition of “Flower of Scotland”, and the 700-year anniversary of the encounter this week has given it even greater significance. The Bannockburn Live event, which is to be staged near Stirling on 28 and 29 June, will involve a “brutally realistic” reconstruction of the battle “choreographed” by members of the team responsible for the movies Gladiator and Thor II. 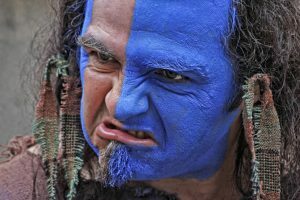 Alongside the battle there will be a host of musical, culinary and other celebrations of all things Scottish. Collective and popular memory, then, suggests that Bannockburn marked a major turning point for Scotland; essentially that it won freedom (a word one now feels compelled to shout in a distinctive but uncertain accent) from the Auld Enemy. But memory is often selective. There is no doubt that the battle played a hugely important role at a very particular point in Scottish history. But this point is far from representative of Anglo-Scottish relations over the course of the medieval period, during which time Scotland maintained its own monarchy and independent government. Conditions changed after 1286 when Edward I (1272-1307) took full advantage of the invitation to adjudicate the succession struggle to the throne (the so-called “great cause”) that followed the death of Alexander III. Edward’s heavy-handed, sometimes brutal approach in the conditions which unfolded led to the outbreak of the first war of Scottish independence. The king’s nickname malleus Scottorum, “hammer of the Scots”, gives a good indication of his outlook, even if it suggests his attempts to conquer the realm were rather more successful than was the case. Edward I’s imperial attitudes were not entirely in keeping with those of his predecessors. While certainly keen to claim pre-eminence in the British Isles and Ireland, English kings were by no means always antagonistic to their northern cousins, but Edward I’s intervention established a political position from which it was difficult to retreat. Because of this his son, Edward II, felt compelled to ride north in 1314 to counter the growing threat Robert I posed to his authority. Yet Edward’s subsequent humiliation at Bannockburn did not bring the first war of independence to an end. No settlement was agreed until 1328 (the treaty of Edinburgh-Northampton). Bannockburn was of course of great significance and it certainly cemented the iconic image of Robert Bruce as a national leader. In a way it formed the basis of a new origin story for Scotland, one which was given a distinctive character in the subsequent declaration of Arbroath (1320) – perhaps the best statement of national consciousness composed in Europe in the middle ages. For the English, by contrast, Bannockburn was a hugely chastening experience but also a formative one. 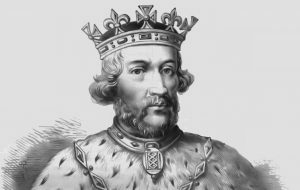 It deeply compromised the authority of Edward II –- indeed it can be seen as making a significant contribution to his eventual deposition in 1327. It was the first time an English king had been deposed by his own people, and led to a new notion of kingship, one centred on qualities of chivalry and prowess. This gave a new direction to the English monarchy under Edward III. The battle also fundamentally changed English military thinking, and so was directly responsible for a series of remarkable victories in Scotland in the 1330s and more famously in the Hundred Years War against France (such as Crécy, Poitiers, and Agincourt). At Bannockburn Robert had demonstrated the superiority of well trained infantry over cavalry when they were deployed effectively and made good use of the terrain. When allied strategically to the English and Welsh longbowmen, this proved a devastating military system, forming part of what some have seen as a military revolution. Bannockburn was a hard lesson, but one well learned. Its success dictated the direction of English foreign policy for more than a century. So while the battle redefined Scotland it also reshaped England, and the memory of the battle may still have a role to play in the direction of both countries. In the background of the 1997 devolution debate, the shadow of William Wallace loomed large, albeit one with the distinctive shape and characteristics given to the Scottish leader by Mel Gibson. Given the anniversary of Bannockburn, it will be interesting to see whether the shadow of Robert Bruce is equally evident as we approach the independence referendum.